Welcome to Reliable Environmental Solutions, Inc. Reliable Environmental Solutions, Inc. looks forward to serving your environmental needs. We are a Female Business Enterprise (FBE) providing environmental consulting and training services. You can count on our more than 50 years of combined experience to get the job done right! 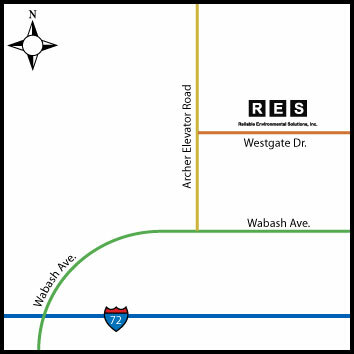 Reliable Environmental Solutions, Inc. is located at 4211 Westgate Drive in Springfield, Illinois.